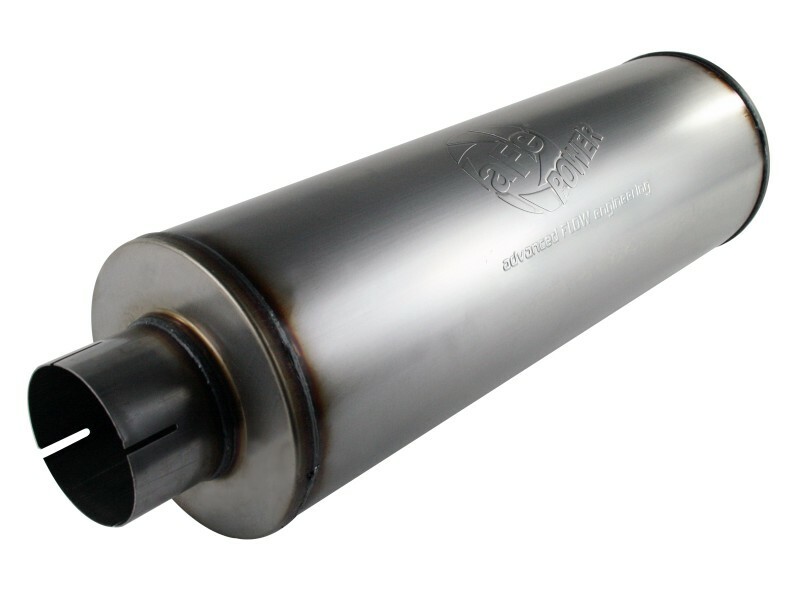 For enthusiasts, improving the sound on your vehicle is among the first modifications many perform. 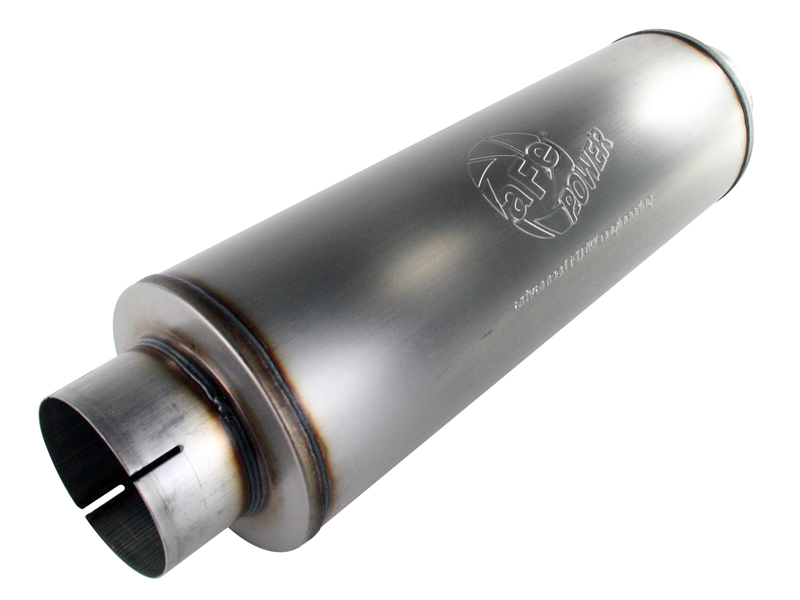 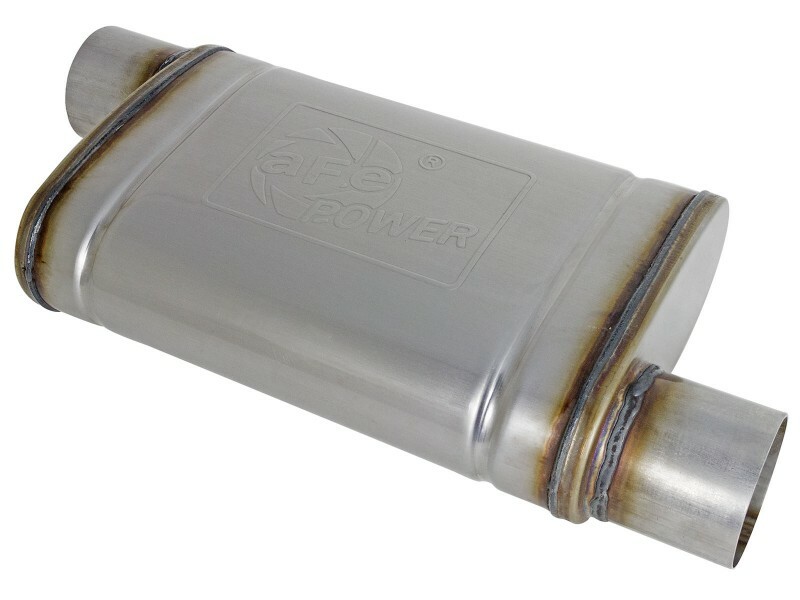 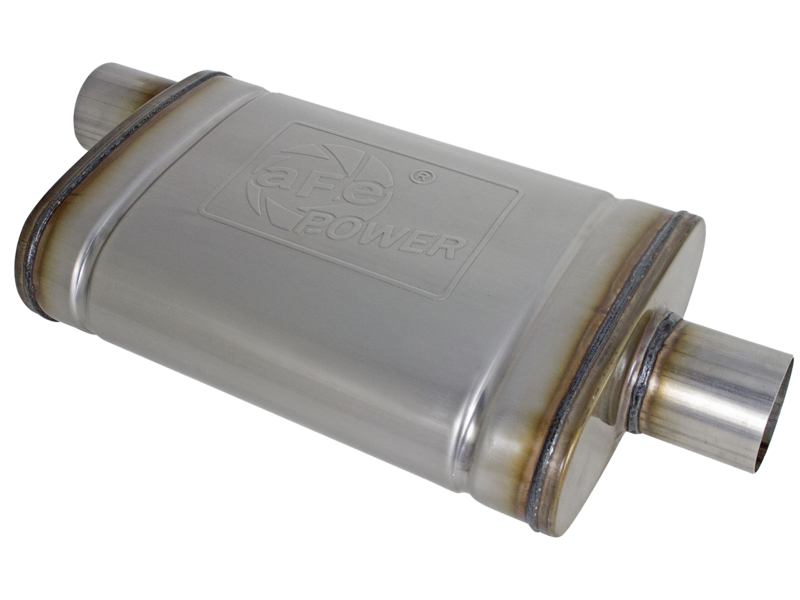 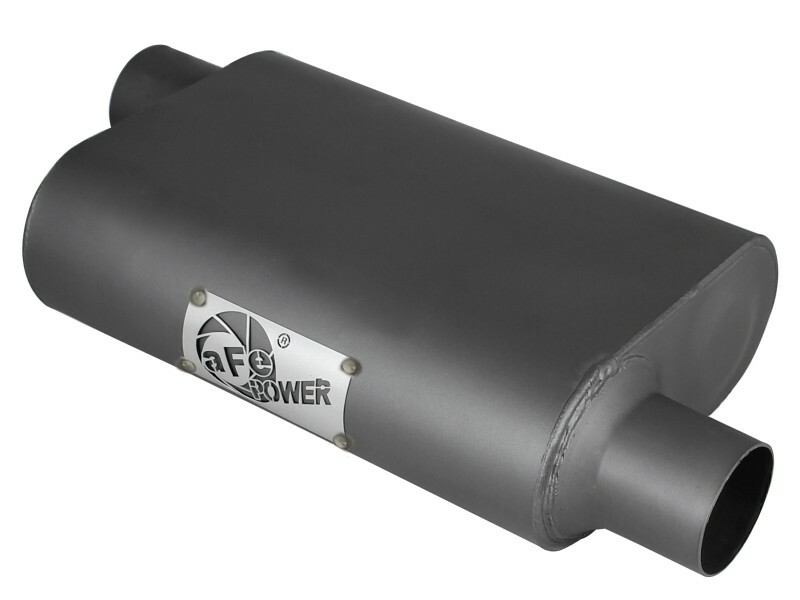 With our aFe POWER Mach Force-Xp universal performance mufflers are designed to provide a nice deep, throaty, and powerful sound on acceleration while maintaining a smooth exhaust note at idle. 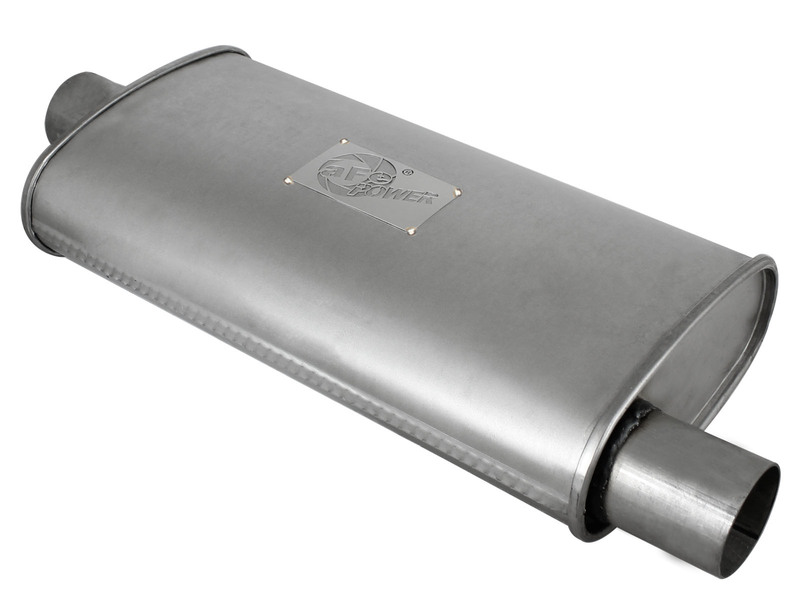 Constructed out of stainless steel for durability, while the perforated straight through design with heat resistant packing reduces backpressure and maximizes air flow. 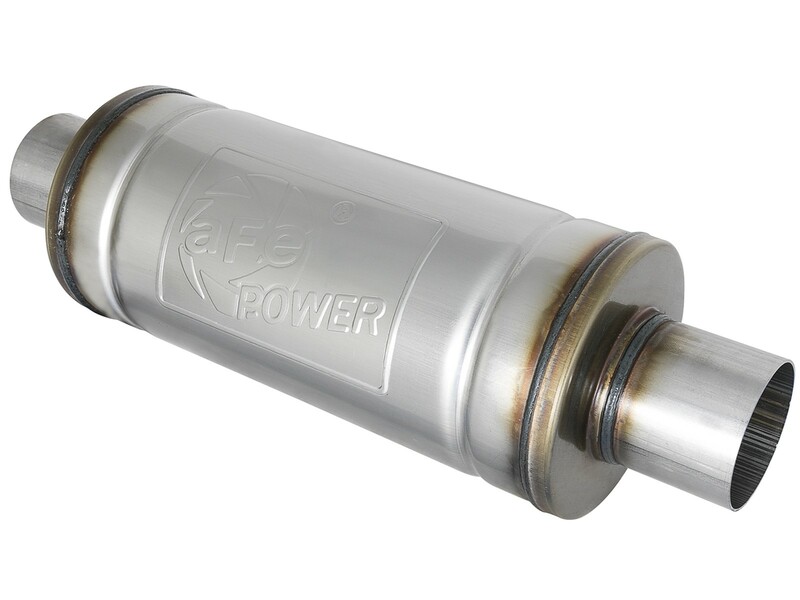 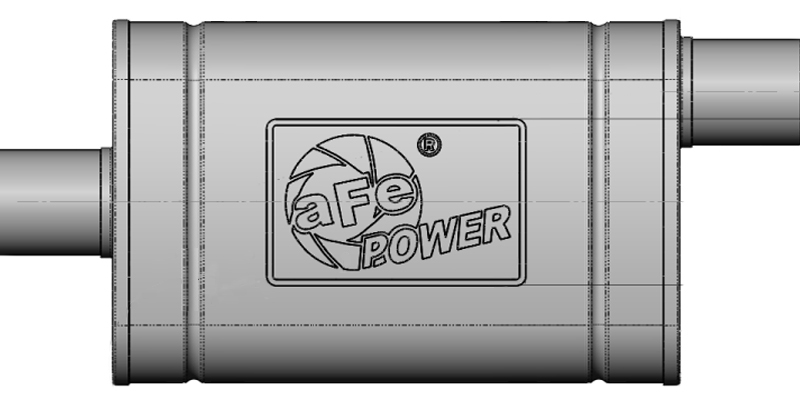 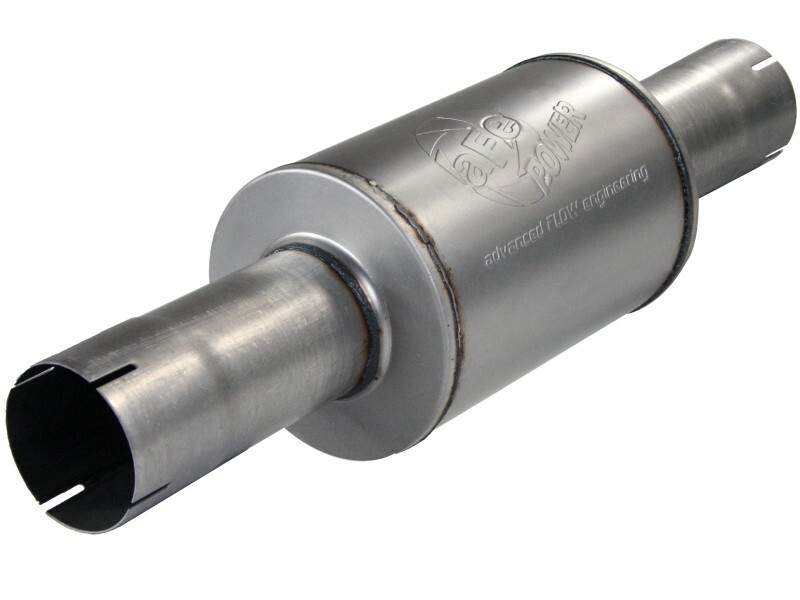 aFe POWER Mach Force-Xp universal performance mufflers will improve sound, performance and throttle response on your vehicle over the factory OE mufflers. 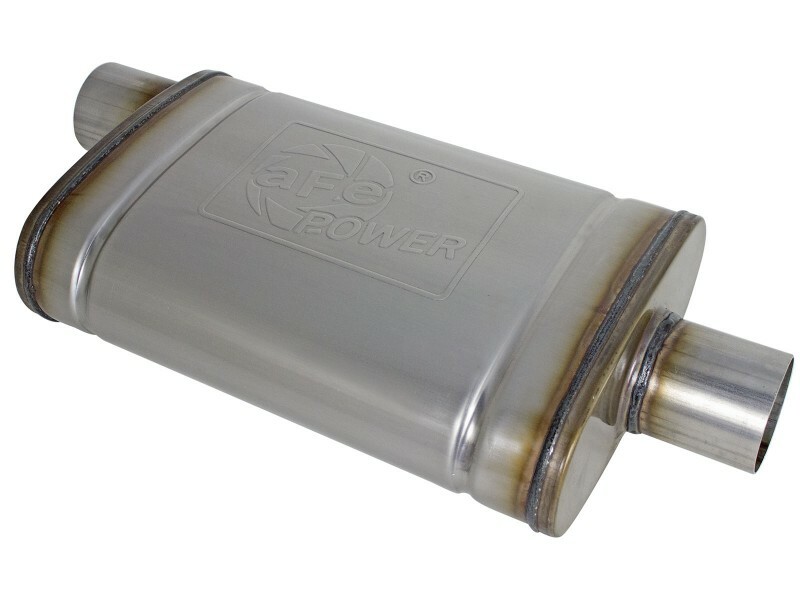 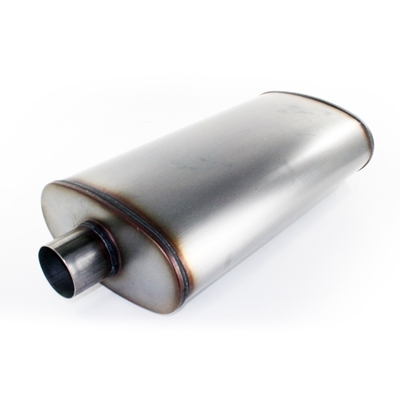 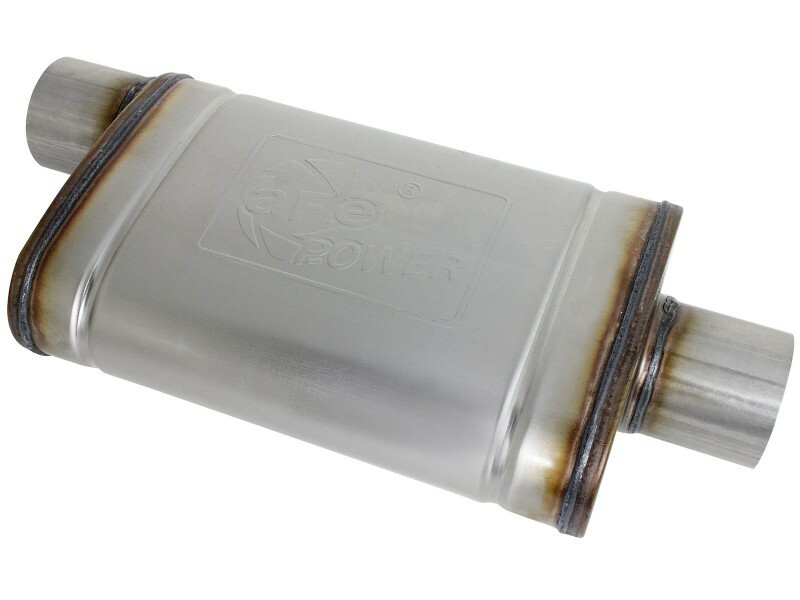 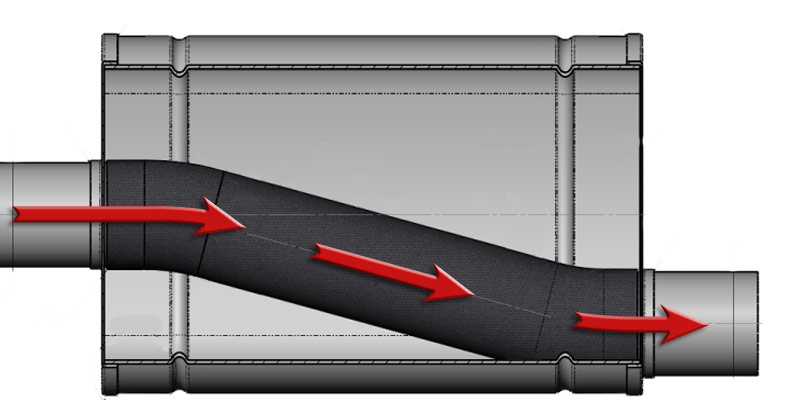 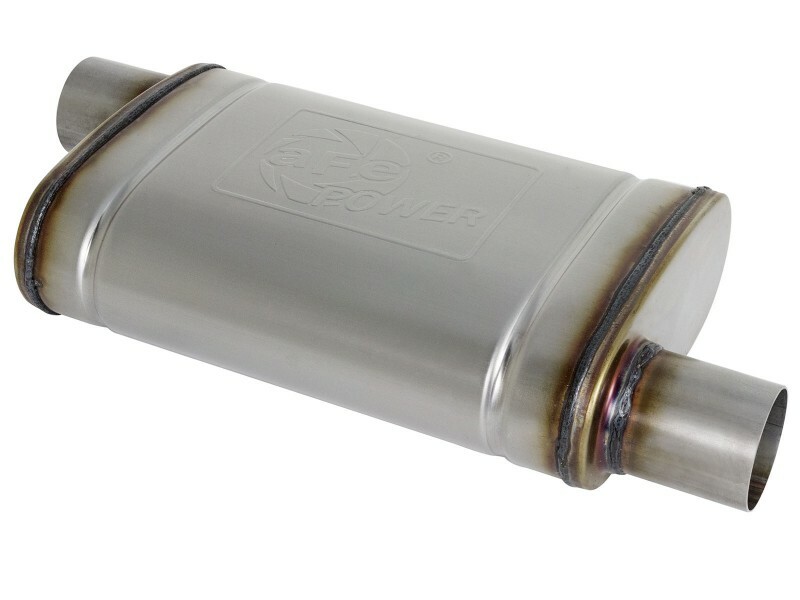 Our mufflers provide a deep, throaty, powerful sound on acceleration but maintain a smooth sound at idle. 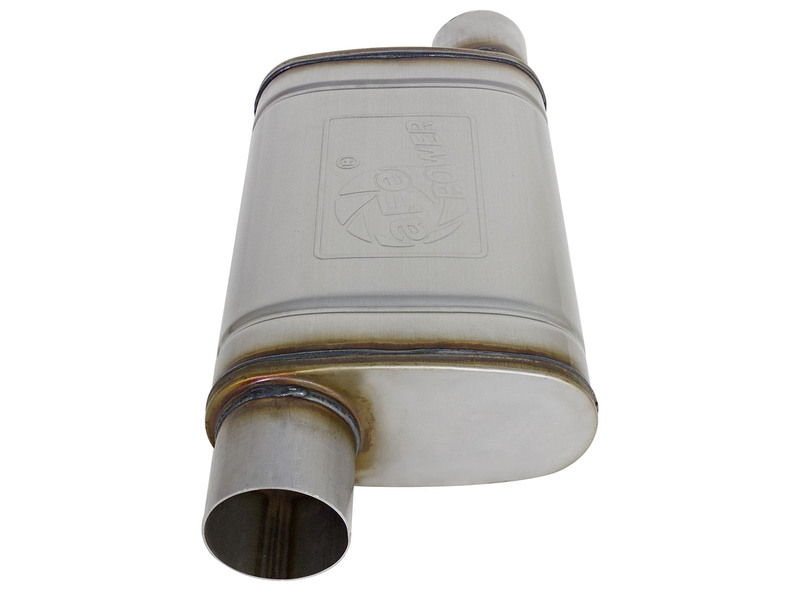 Stainless steel for improved durability against harsh environments. 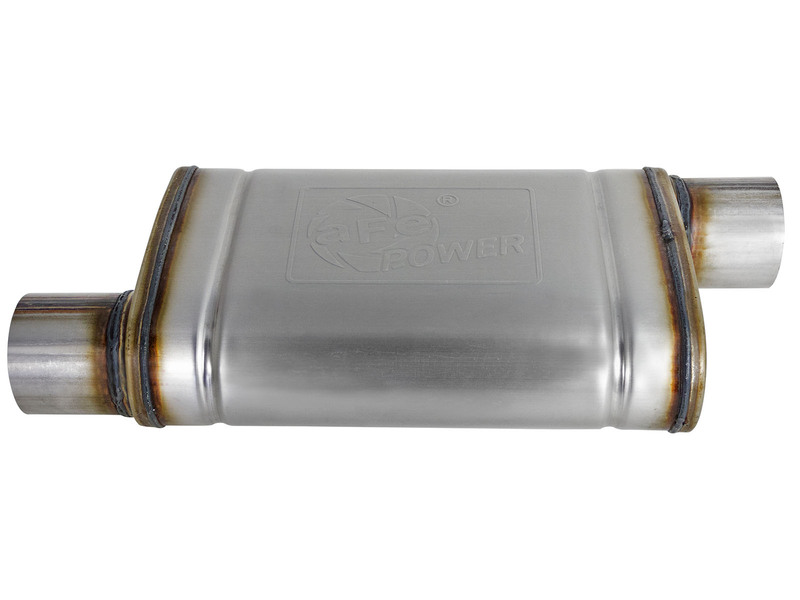 Straight through perforated core design, and heat resistant packing reduces backpressure while maximizing exhaust flow.